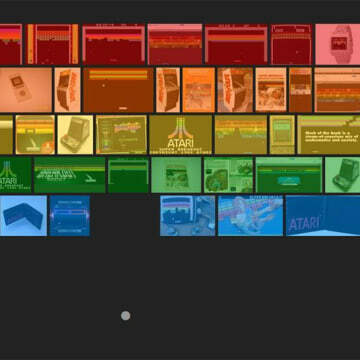 Always looking for new opportunities to turn its mammoth search engine and associated features into interactive and exceedingly distracting Easter eggs, Google has put on another show in honor of the 37th birthday of Atari's classic video game "Breakout." 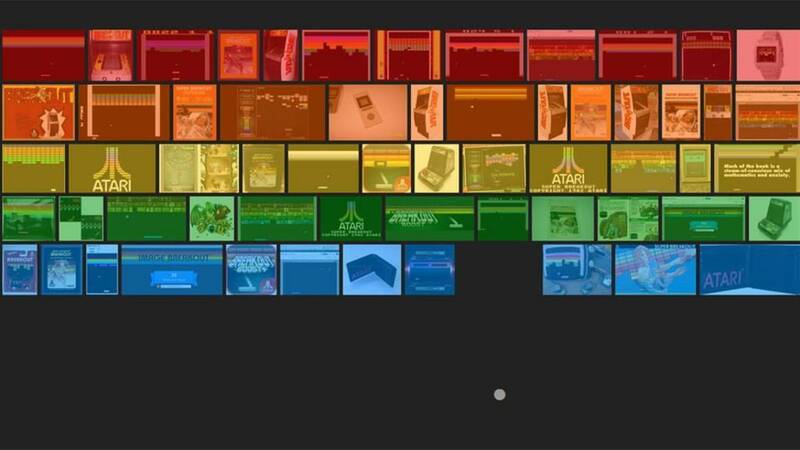 Just try typing "Atari Breakout" into Google's image search. Instead of getting the usual cluster of high- and low-resolution images of the retro paddle-based game, the screen then transforms all the images into tiny bricks for you to destroy in a game Google is calling "Image Breakout." Occasionally and for whatever reason, Google image search will redirect to another search entirely before activating the game. I got "Parmigiana" and "Chicago" in that order, so I was destroying tiny little bricks made out of Italian Parm sandwiches and Windy City landmarks. Originally created by Nolan Bushnell and Steve Bristow, "Breakout" debuted in 1976. It was based on a similar ball-and-paddle mechanic inspired by the legendary 1972 video game "Pong," and like its predecessors, "Breakout" would go on to inspire countless ports, spin-offs and sequels throughout the years. "Breakout" also became an early point of money contention between Steve Jobs and Steve Wozniak after Jobs, who was at Atari, contacted Wozniak (who was then working at Hewlett-Packard) to get help in essentially beating his Atari colleagues to the punch in designing a successful prototype. Wozniak later claimed that Jobs did not disclose the full commercial implications of his work on "Breakout," essentially cheating him out of bonus that Atari had guaranteed for successful completion of the game. Their prototype didn't end up making the cut for Atari, but the two Steves did go on to found another wildly successful company with Apple. Atari, meanwhile, failed to carry its legacy into succeeding generations of video game technology, and the U.S. branch of the company eventually filed for bankruptcy earlier this year. Just some things to ponder while you're wasting the rest of your day on Google's latest version of "Breakout." You can enjoy the game here. But watch out — it can be very addictive. Yannick LeJacq is a contributing writer for NBC News who has also covered games for Kill Screen, The Wall Street Journal and The Atlantic. You can follow him on Twitter at @YannickLeJacq and reach him by email at ylejacq@gmail.com.